The Norman Yeon Legacy Circle is a group of Friends supporters who have made a lasting commitment to conservation of the Columbia Gorge by making a provision for Friends of the Columbia Gorge in their will or estate plans. Through their gift planning, they will ensure the protection of this beautiful and wild landscape for generations to come. We thank our Norman Yeon Legacy Circle members for their vision and dedication by inviting them to a members-only annual event where they are updated on Gorge conservation threats and issues, and have the opportunity to meet board, staff, and others who are leaving a legacy of protecting the Gorge. Members also receive our quarterly print newsletter and are given the option of special recognition in our annual report. 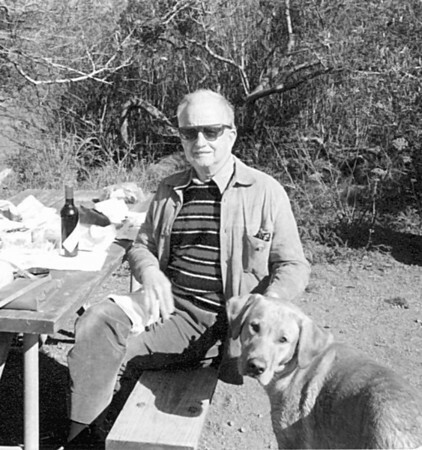 Our legacy circle is named in honor of Norman Yeon, a man who had the Columbia Gorge deeply embedded into his DNA. His father, John Baptiste Yeon, was a successful businessman who served as road master for the construction of the Columbia River Highway. Norman's brother, the younger John Yeon fought to protect the Gorge for over three decades and recruited Nancy Russell to start Friends of the Columbia Gorge. In 2007, Norman left Friends an unrestricted bequest of $4.5 million. This was the most transformational gift in the organization's history, leading to the creation of the Friends of the Columbia Gorge Land Trust. To date, our land trust has permanently preserved more than 1,000 acres of land valuable for its natural, cultural, recreational, and scenic qualities. If you have included Friends of the Columbia Gorge in your will or estate plan, we would like to thank you and invite you to join the Norman Yeon Legacy Circle. For more information, please contact Development Officer Pam Davee at 971-634-2036 or pam@gorgefriends.org.